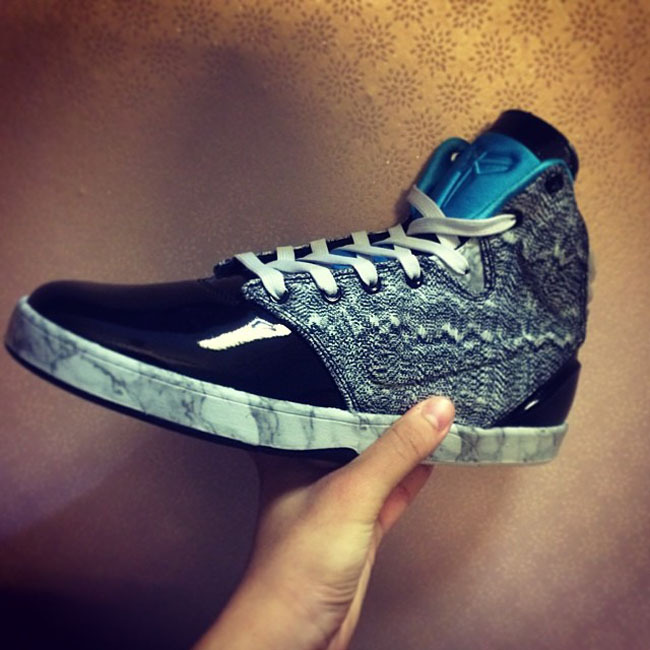 You'll have to keep waiting for shots of a low-top Kobe 9, but check out this lifestyle edition for now. Lifestyle editions of the LeBron, KD and Kobe lines haven't excited fans the way the standard editions of their shoes have, but they've become an expected part of the sneaker world at this point. This season's lifestyle editions of LeBron and KD's shoes have been out for a while, but today we have our first look at the Kobe. While the shoe bears little resemblance to the Kobe 9 Elite, it's undoubtedly a Kobe thanks to his logo on the tongue. The shoe appears to have Vac Tech Swoosh, and an upper material that ties to the Flyknit look of the standard 9. What do you think of this concept? Do you like the idea, or would you rather see the standard model with lifestyle detailing, like the Denim LeBron X?